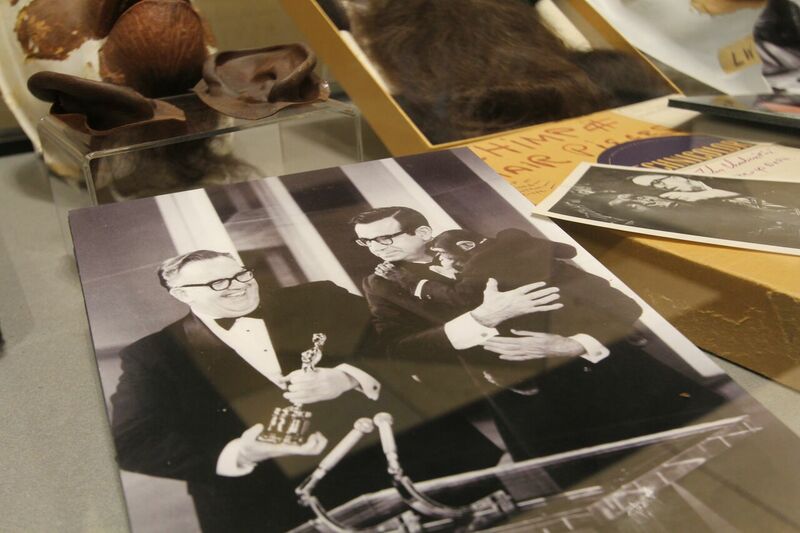 The first of several events throughout this semester honoring the 50th Anniversary of the Planet of the Apes commenced at the Eileen Norris Theater, with behind the scene photos on set of Planet of the Apes films throughout the decades gracing the big screen as guests filtered in. Star of War for the Planet of the Apes (2017), Andy Serkis, sent a brief video message sending his best wishes for the Planet of the Apes exhibit and retrospective. Following a packed screening of the franchise-inducing 1968 Planet of the Apes, there was a panel discussion with cast and crew members from Planet of the Apes franchise films past, present, and future monitored by SCA’s Director of Programming and Special Events Alex Ago. New and old Planet of the Apes filmmakers warmly reminisced together on the joys of working on creating films for the Planet of the Apes franchise. 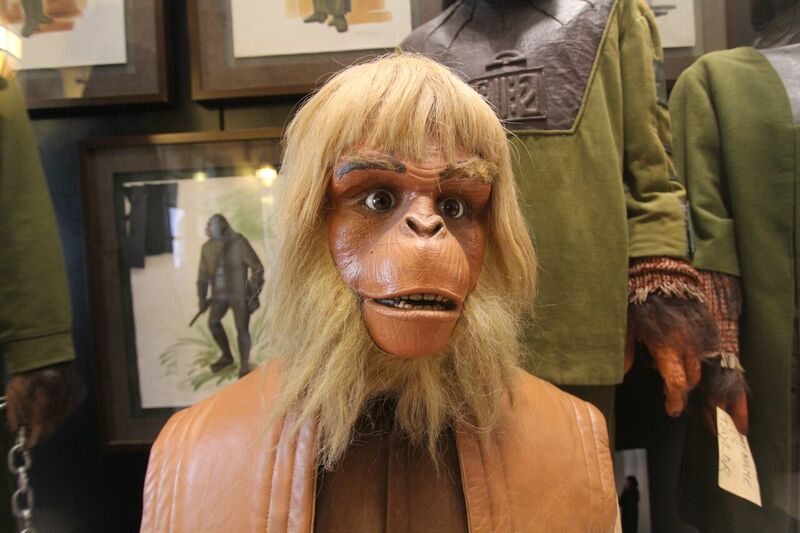 Ago opened up the conversation by asking crew members from the original 1968 Planet of the Apes art director William J. Creber and makeup artist Dan Striepeke about their experiences on set making the classic film. Creber spoke warmly about collaborating with director Franklin J. Schaffner in creating the dystopian world of Planet of the Apes. Creber was tasked with finding shooting locations that looked like they were of a different world no one had seen before. Althogh he initially wanted to shoot in Brazil, Creber and Schaffner settled on Glen Canyon in Arizona and Malibu Creek Park. To create the otherworldly Ape Village, Creber studied ancient architecture that he referred to as “non-architecture architecture” with a simple, naturalistic aesthetic. 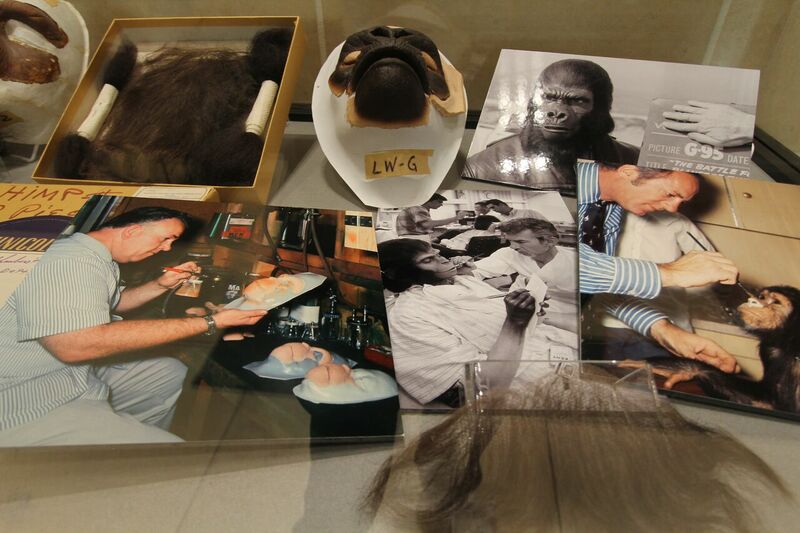 Fellow crew member and Academy Award-nominated makeup artist Dan Striepeke joined in talking about his experience of creating the revolutionary and sensational makeup for the Apes. As the lead make-up artist, Stripeke was at the helm of a large team of artists who with the director created the look of the Apes. Stripeke tried to create a design that looked both human and ape since this was a futurist, highly evolved society. He spent hours making face casts and masks that completely transformed the actors, but still allowed the actors to act beneath the otherworldliness guise. The team of artists was able to strike an awe-inspiring balance that brought the iconic apes we know today to life on the big screen. The younger generation of Planet of the Apes chimed into the lively discussion about bringing new life to the iconic franchise. Director of the latest installments Dawn of the Planet of the Apes (2014) and War for the Planet of the Apes (2017) and SCA alum Matt Reves shared how influential the early Planet of the Apes films were to him growing up. Some of the first films he made as a kid were based off of the Planet of the Apes world and characters. He feels honored now be able to return to his alma mater and share the beloved franchise with a new generation of fans young and old. Fellow SCA alums producer Dylan Clark and writer/producer Rick Jaffa also spoke about their experiences working on the newest Apes installments. Jaffa had ambitious visions of the technological potential for Dawn of the Planet of the Apes that Reeves and Clark themselves were weary of. But Jaffa successfully realized his vision of CGI apes that acted alongside human actors. They credit the foresight of Jaffa and keen performance of Serkis is pulling off the ambitious, technological performance. The panel reflected on the franchise’s changes spanning over five decades. The innovative make-up of Striepeke in the 1960s has evolved into dot suits and CGI thought up by Jaffa in the 21st century. Their films and discussion of their production show the impact of technology on the franchise and how it has helped progress its characters and design. Before opening the discussion up to questions from the audience, a very special guest graced the stage. In full, original ape costume, Lou Wagner took over as moderator with plenty of quips and jokes that made Norris Theater roar with laughter. 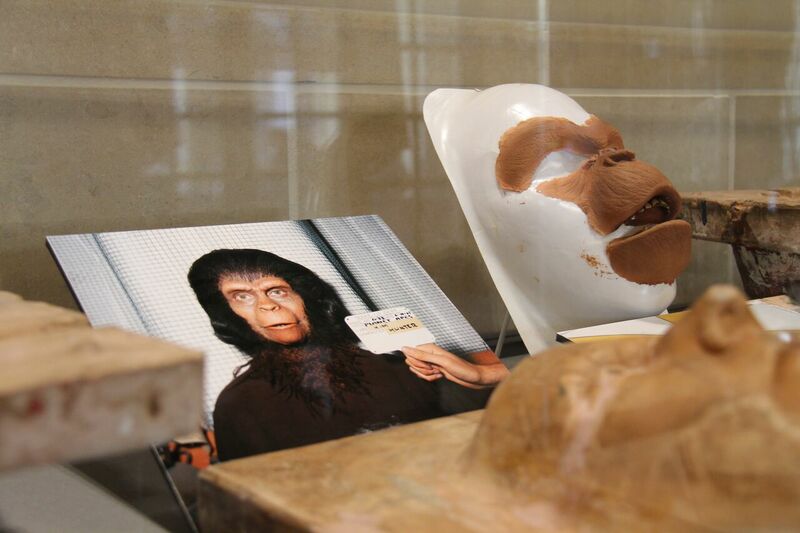 The School’s retrospective on the Planet of the Apes continues with screening, panels, and events with more cast and crew members throughout the rest of the spring semester.